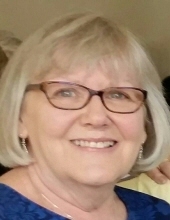 Linda Sue Hedden Morgan, 71, passed away Saturday, September 01, 2018 at her home after a long battle with cancer. She was born March 14, 1947 in Elizabeth, Indiana the daughter of Ellis Ray and Catherine Prell Hedden. Linda began her working career at age 17. She retired in 1999 from U.S. District Court, Western District of Kentucky, as a secretary/personnel specialist after 25 years of service. She was preceded in death by her parents and her brother Jerry Hedden. She is survived by her husband Lester Wayne Morgan of Lanesville, and brothers Robert Hedden (Caroline), and LaVon Hedden (Julie) both of Elizabeth, IN; two stepdaughters, Sara Morgan Francis (Pete) of Smithton, IL and Julie Catherine Adams (Eric) of Charlestown, IN; five grandchildren, Maren, Max and Mason Francis and Noah and Grayson Adams; seven nieces and nephews, Julie Keeton (John), Craig Hedden (Theresa), Andrea Baerenklau (Scott), Jeff Hedden (Jerri), Lesa Harl (Leroy), Larry Hedden (Cara), and Karol Hornickel (Terry); five great nieces and ten great nephews; two great great nieces and three great great nephews. Funeral services will be at 1 PM Thursday, September 6, 2018 at Gehlbach & Royse Funeral Home in Corydon, IN. Pastor Catherine Turcotte will officiate. Burial will be private. Visitation will be held from 11 AM to 8 PM Wednesday, September 5, 2018 and from 10 AM to 1 PM Thursday at the funeral home in Corydon. The family suggests memorial donations be made to either the James Graham Brown Cancer Center, the Melanoma Research Foundation or the Norton Cancer Institute. To send flowers or a remembrance gift to the family of Linda Hedden Morgan, please visit our Tribute Store. "Email Address" would like to share the life celebration of Linda Hedden Morgan. Click on the "link" to go to share a favorite memory or leave a condolence message for the family.